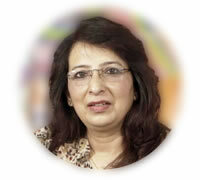 Sonali Bhattacharyya is an English Language Communication and Soft Skills Consultant, Trainer and Content Developer. She conducts workshops on English Language Teaching, Teacher Development and Teacher-Learner Motivation for Oxford University Press, and is a certified trainer for the Oxford Teachers’ Academy in collaboration with Oxford University Department for Continuing Education, U.K. and Oxford University Press. She is currently also a teacher trainer for the English Access Micro-scholarship Program, an International Program conducted by the U.S. Department of State, USA, and has also been a trainer for Fulbright-Nehru English Teaching Assistantship Program conducted by USIEF. She is a Training Consultant for the British Council and also a presenter and trainer for the Cambridge English Language Assessment Teacher Support Programmes organised by Cambridge University ESOL Examinations. She has been developing teaching learning material and online training material for Oxford University Press and also been conducting teacher training webinars for resource persons for OUP India. She is currently a Guest Faculty for CDAC Kolkata (Centre for Development of Advanced Computing). Her other engagements include conducting pre-placement trainings for technical and engineering colleges and universities. She has been a part of a 6 member team for an on-going English Language Research Project on Assessment Calibration conducted by XLRI, Jamshedpur. She has also trained administrative personnel at the Indian Institute of Management, Calcutta under a programme launched by the Bengal National Chamber of Commerce. Sriparna Tamhane is a passionate teacher, researcher, teacher educator, mentor and a developer of educational content. A post graduate in History from Jadavpur University, Kolkata and a B.Ed from Calcutta University, Sriparna has been teaching Social Science, History and English in three of the J Krishnamurti Foundation Schools (Rajghat Besant School, Varanasi;Sahyadri School, Pune and The Valley School, Bangalore), which are some of the leading alternative schools in India. This has given her the experience of teaching in innovative ways, creating alternative curricula and methods of assessment. Her classrooms have always been her workshops, and her approach to teaching – anongoing process of research and learning. She has also taught in Heritage School, Gurgaon as well as in Progressive Education, Indore. As a developer of curriculum, Sriparna has designedinterdisciplinary modules on theme-based learning for an educational company and has co-created the primary school curriculum for the Shiv Nadargroup of schools. 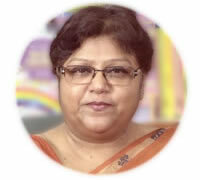 She has also done research work on the emotional wellness of children and developed modules for Kaivalya Education Foundation.She has been instrumental in reviving the first online free website for teachers, (www.teachersofindia.org), creating over hundred classroom resources including lesson plans, worksheets, PPTs, interactive digital games, etc., as well as teacher enrichment resources in the form of articles. As a teacher educator, she has been a part of Teacher Foundation, Bangalore, mentoring teachers, developing modules for teacher enrichment and training teachers in pedagogy. She has worked for AzimPremji Foundation, Bangalore, initially as a Subject Matter Expert and later as a resource person at AzimPremji University. Sriparna is now an independent educational consultant for Oxford University Press.Based in Kolkata, she is devoted to bringing about a change in the teaching learning process in the classroom to make learning more effective and meaningful. She has been able to motivate many teachers and educational leaders across organizations in different states through her workshops. Trained at the Centre for Development Management, IIM Udaipur, Santosh Kumar Sharma is working in the field of education for the last 15 years. He has experience in designing constructive science pedagogy, activities/tasks for internal assessment, and creating active learning spaces in science laboratories. Santosh has worked with various developmental organisations of international and national repute. 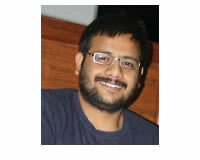 In one of his assignments, he worked extensively with government schools in Rajasthan creating a need-based support system which include introducing child-friendly pedagogic techniques, involving the community in day-to-day functioning of schools, helping schools implement decentralised assessment techniques such as Internal Assessment, and conducting capacity building workshops for teachers and HMs to create cordial and inspirational classrooms for students in state funded schools. Santosh has written various teacher training manuals on science teaching. He has presented research papers on education and science teaching in various well known national and international seminars. Currently he is interested in creating active learning spaces for pupils in schools by enhancing their engagement in classroom learning. His other areas of interest includecurriculum integration, integrating life skills to school education, creating hands-on science activities for classroom integration and inquiry oriented science pedagogy.